The ants go marching one by one. Hooray! Hoorah! 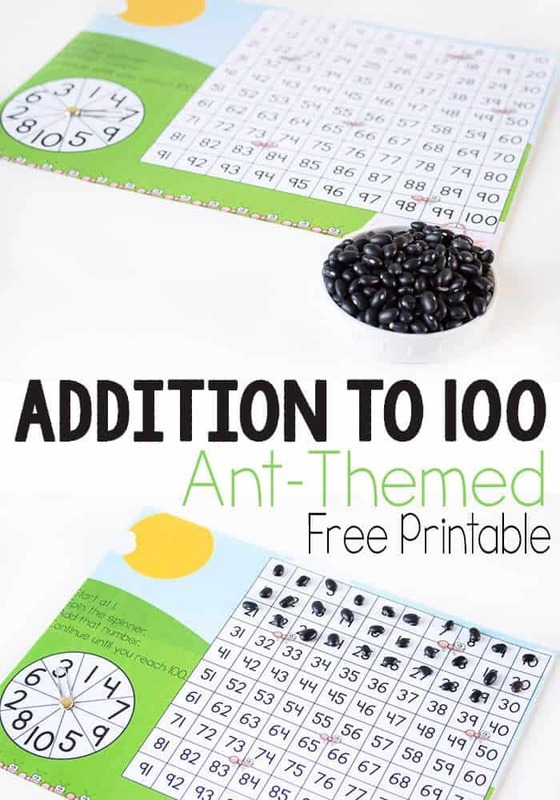 This free printable Insect Addition to 100 game is a great way to work on addition facts and addition with regrouping all in one easy activity that takes less than 3 minutes to prepare. 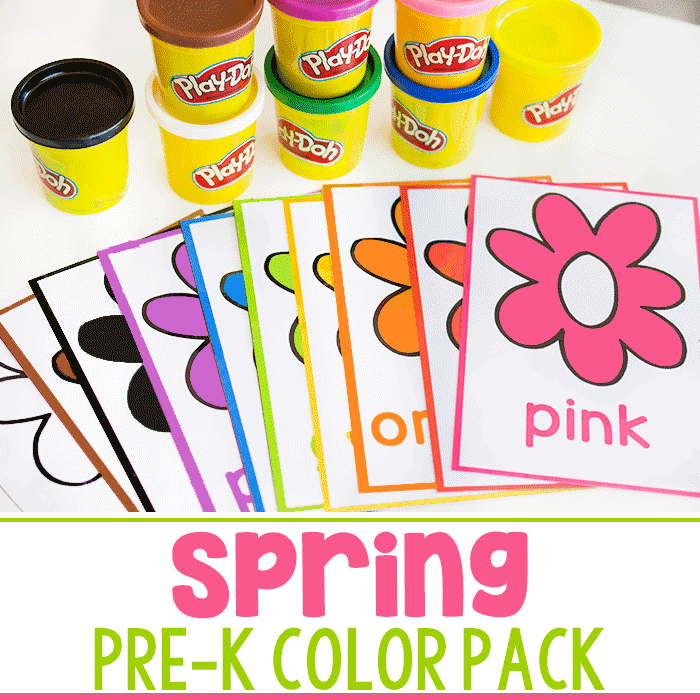 We’ve played this game in a few different themes and this fun ant-theme is great for spring! 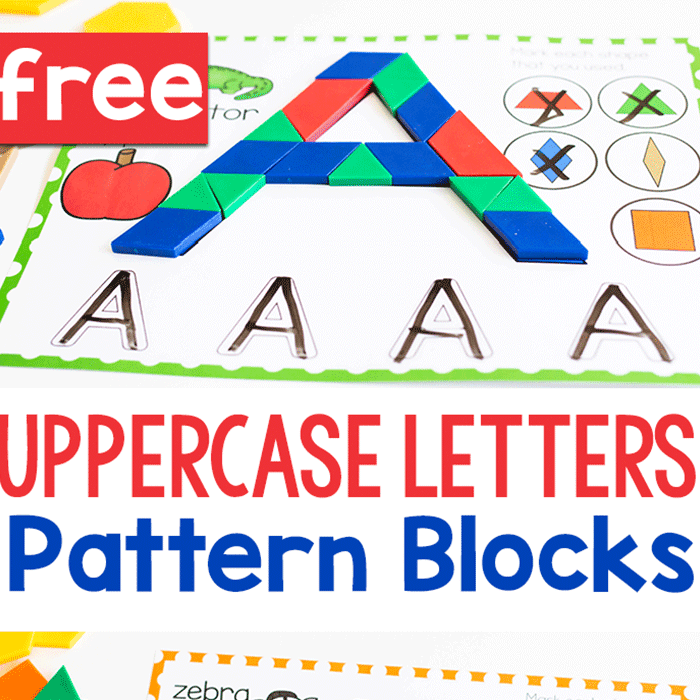 To prep: Print and laminate the hundreds chart for durability. Create a spinner using the paper fastener and the paper clip. If you do not have a paper fastener, you can hold the sharpened tip of a pencil to the middle of the spinner with the paper clip instead. 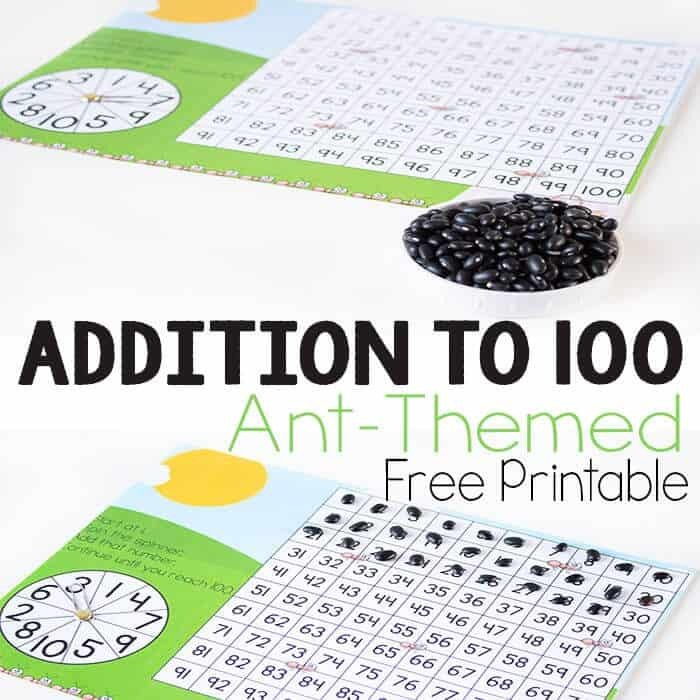 To use the insect addition to 100 chart, simply start at “1”. Spin the spinner and add that number to the “1”. 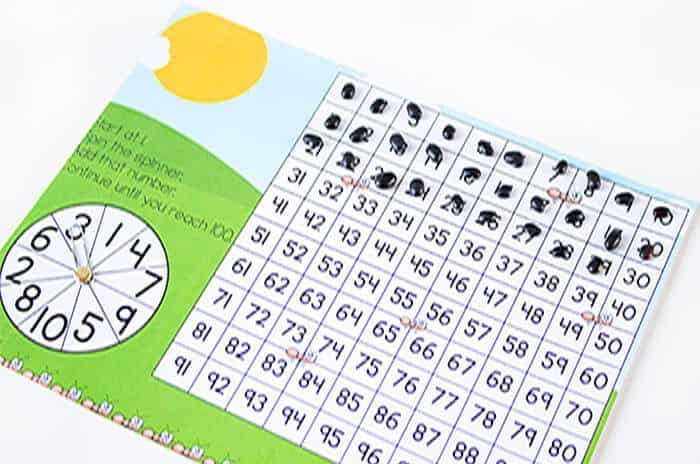 Put beans on the number of spaces on the penguin addition hundreds chart to equal the product. Then, continue from there. Continue until you reach 100. And it offers instant feedback on whether the answer was correct or not. 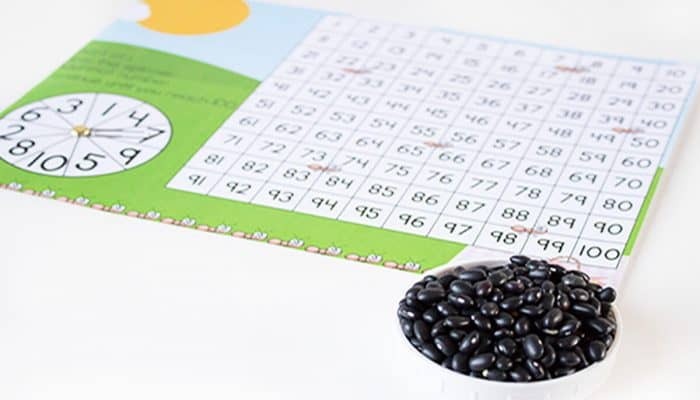 By adding the number of beans to the hundreds chart after each spin the kids can see right away what the correct answer should be. Jaida also did the activity placing beans only on the answers to each problem. 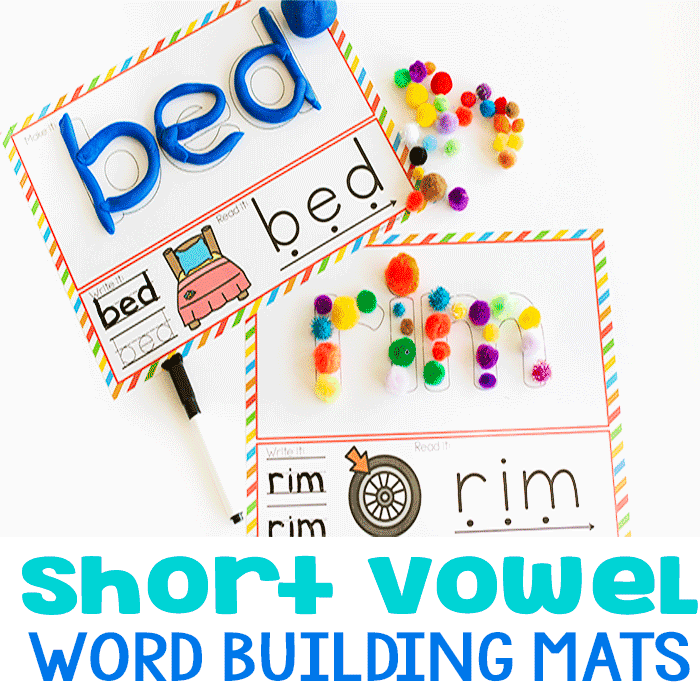 Plus, writing things down provides another way for kids to engage their minds and will help them to remember them more than simply reciting an answer. Rubber Band Sling Shot LEGO Car! 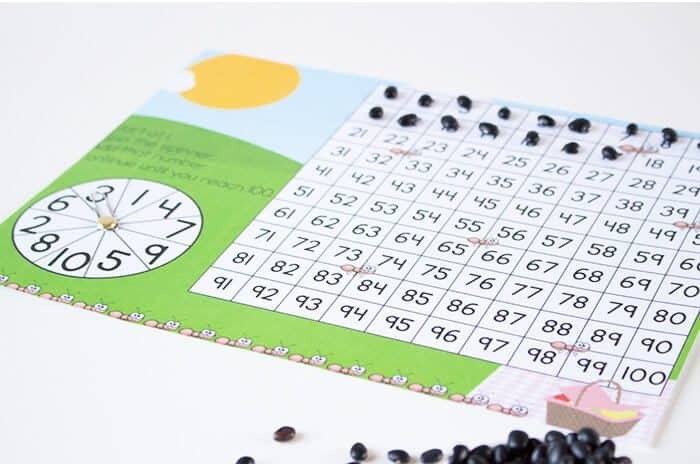 Love using beans in learning and play! YEA, thanks!!! 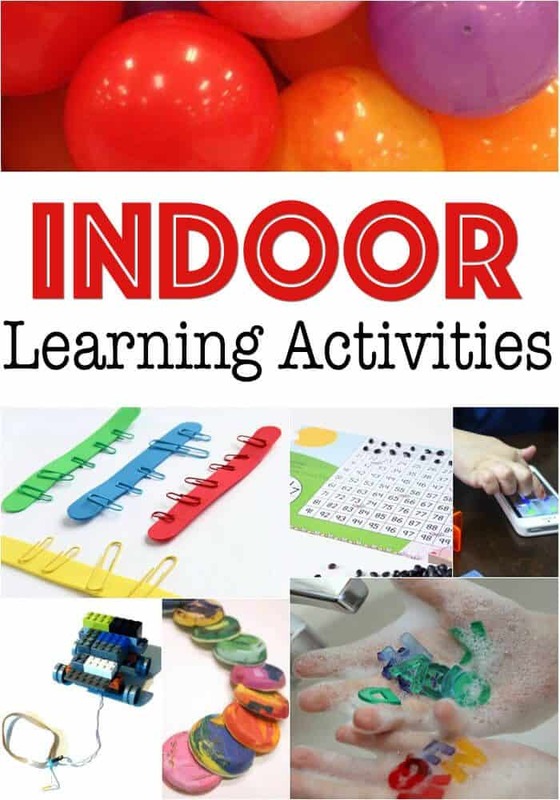 Bugs are so interesting for little kids!